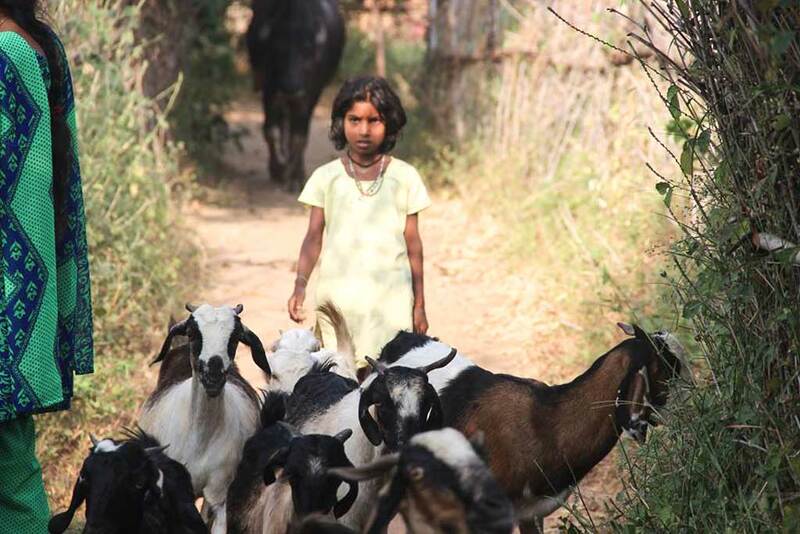 “What used to bother me a lot was that many parents considered it a priority to send their children to graze animals like cows and goats,” explains Anju Singh, the Amrita SeRVe Fellow there. Anju Singh, second from the left, tutors children after their daytime field work. This class includes Julius, a volutneer with Amrita SeRVe who wants to learn Hindi. Then along came Raju. He was a boy who asked Anju to start teaching reading and writing after 5 pm every day. He didn’t want to remain illiterate all his life. “Before I knew it, the class size had grown. 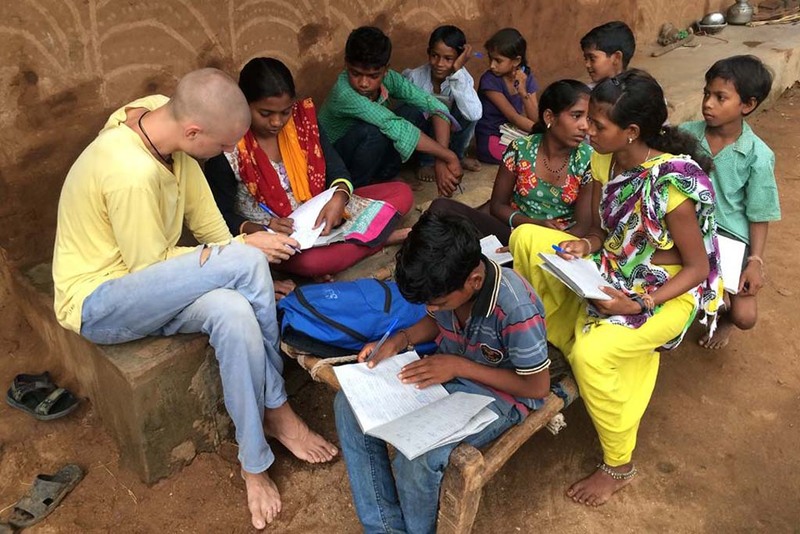 There were 10 children, and I was teaching Hindi to all of them,” says Anju with a smile.